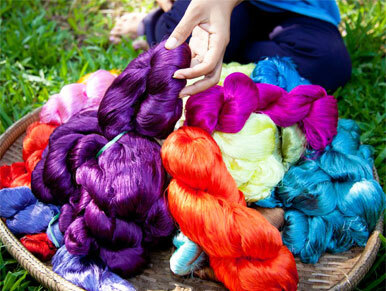 The Angkor Silk farm offers free guided tours of the process from the mulberry bushes cultivation to the production of silk fabrics and accessories. As the Silk Farm covers an area of 8 hectares, of which 5 are used for the mulberry trees plantation, you will enjoy the beautiful setting while learning about the fascinating process of silk-making. 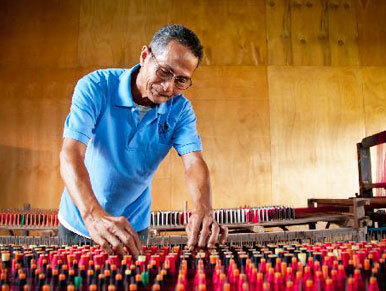 During your visit, our guides will give you more details on the mulberry trees, silkworm farming, cocoon unwinding, preparation of the silk threads, ikat technique (tie-dyeing of the threads) and silk weaving. 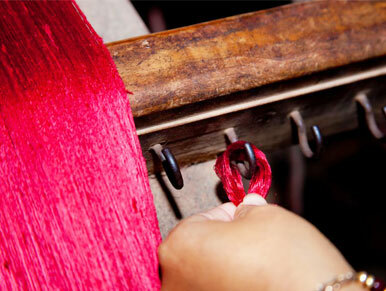 We are sure that you will be impressed by the dexterity of our artisans with silk threads. 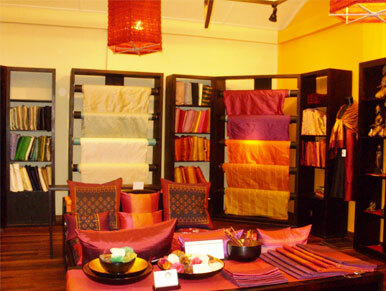 The Angkor Silk Farm also features a large showroom where you can buy high-quality silk products that were made in the workshops you just visited. 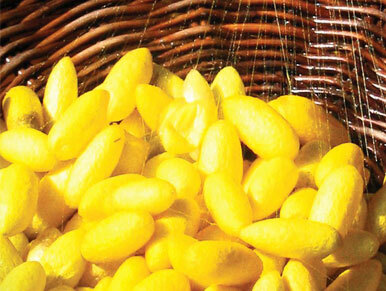 A free shuttle bus to the Angkor Silk Farm departs daily from Artisans Angkor main showroom at 9.30am and 1.30pm. Booking may be done directly in the shop. If you prefer to get to the Silk Farm on your own, you can ask a tuk-tuk or car driver to bring you at Angkor Silk Farm in Pouk district. 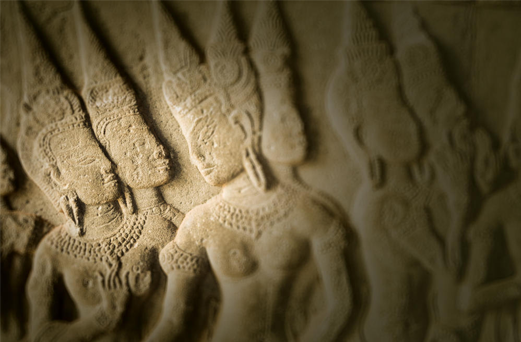 The location is well known by Cambodian people. It is located very close to National Road 6 (towards Poipet) on the right-hand side of the road. A larg sign indicates the access way. Booking of guided tours in advance is not necessary, with the exception for large groups (more than 12 people).